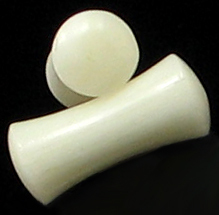 White bone saddle plug earrings are the perfect choice to fill your stretched piercings. 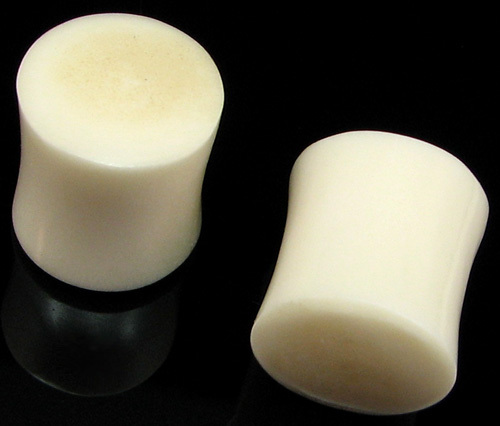 These water buffalo bone dougle flared plugs were handmade in Indonesia. 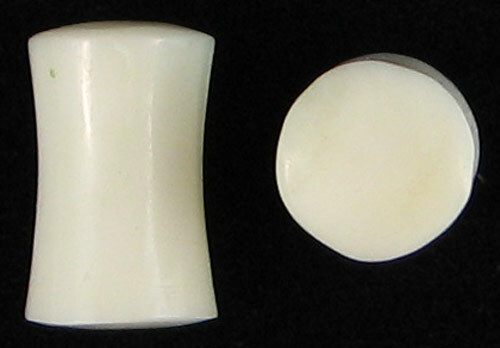 Rather than mass-manufactured, these gauge plugs were made by hand from natural bone, so some variation such as color and size may exist from what is shown in this photo. Contact Us for more information on other available sizes. 5 gauge Select your size and click "Add to Cart".